The HAS report dated April 2009, dealing with the organisational aspects of Pain Evaluation and Treatment Centres, says the types of pain observed during the first consultation are mainly represented by lower back pain. 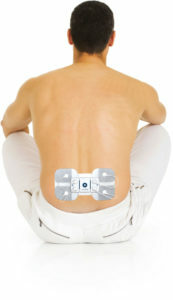 Lower back pain concerns 20% of patients. 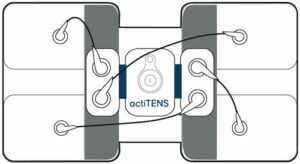 TENS therapy is one of the treatments prescribed in such cases. 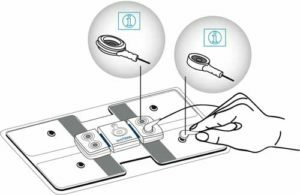 This consists of placing 4 electrodes on the lower back which is a difficult-to-access area, especially for patients who are not being helped by a healthcare professional or a family caregiver. 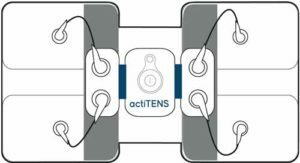 The actiTENS lumbar electrode has been designed to facilitate the actiTENS set up, even for someone placing it himself. 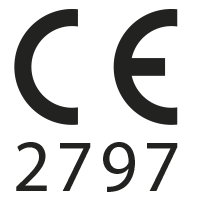 Below is a demonstration video. The cables can be clipped in 3 different ways: Vertical, Horizontal or Diagonal. It all depends on how you want to stimulate your painful area. 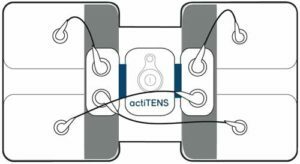 Download the actiTENS instructions and Quick Start guide to easily setup your actiTENS.